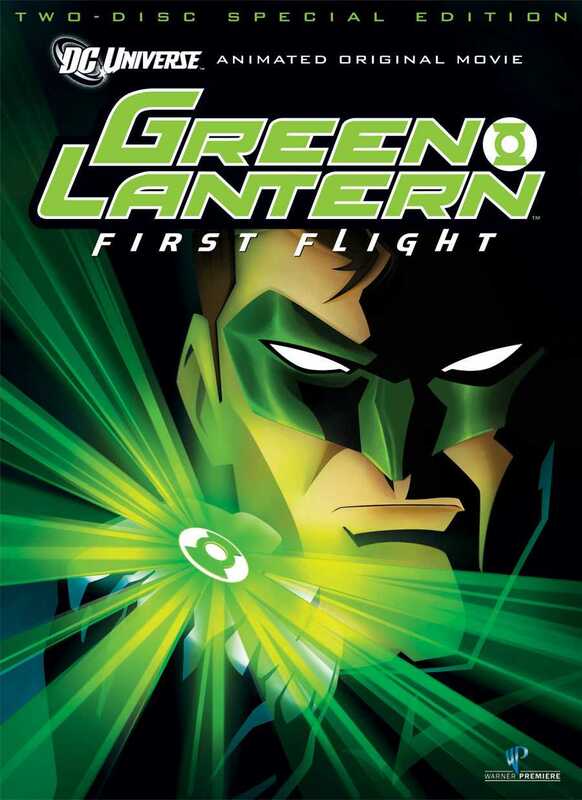 Released in 2009, GL:FF is one of currently 11 direct-to-DVD animated films by DC Comics. There are two rather main sections of the film, and quite a few people can be confused as to the timeline differences between them. The film starts off as almost all origin films do, and we are introduced to Hal Jordan and Carol Ferris and Abin Sur. Abin Sur, who is dying, gives Hal his ring and then perishes in a blast, after telling the future superhero that soon the Guardians will send for him. Hal then returns to Ferris Aircraft and is reunited with Carol. The movie then jumps forward to Hal’s first meeting with other Green Lanterns, veterans of the Corps, who have come to Earth to take him to Oa where the Guardians will judge if he is worthy to wear the ring or not. This is the confusing part in the movie because it is not readily apparent whether or not any significant amount of time has passed between Hal receiving the ring and the summons from Oa. As it turns out, we learn later that indeed sometime has passed and Hal has learned how to use the ring. 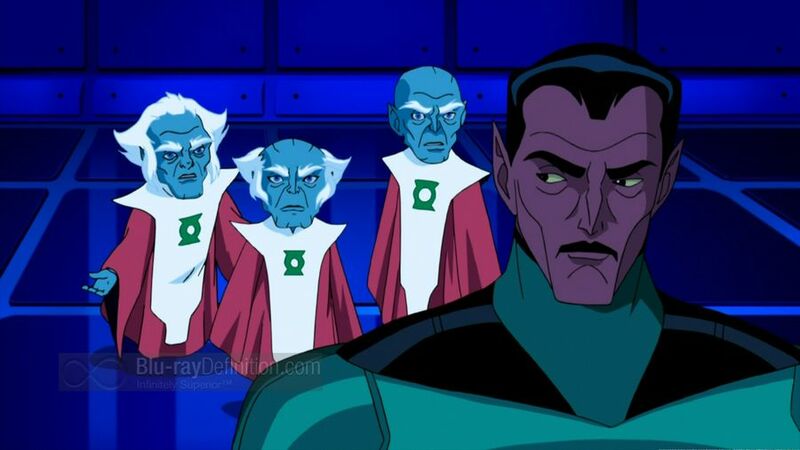 From here on out, we follow Hal as the Lantern Corps investigates Abin Sur’s murder and the theft of the yellow element, the only power in the universe that can match the green element in power and counter the abilities of the Corps. We see a disillusioned and manipulative Sinestro, and the movie is as much about Hal Jordan as it is about Sinestro, the Green Lantern who later becomes the first Yellow Lantern. The entire plot of the movie is fairly straightforward and is not complicated, other than the usual sprinkle of reversals and betrayals and highly emotionally-charged scenes. Given the name of the movie, I had expected this to be a proper origin story focusing on Hal’s first fight against villains on Earth. But this was not to be. It is still highly enjoyable and at times the movie has a very Star Wars-esque feel to it, especially in a cantina-style scene. We are treated to Hal the positive hero who is in contention with his self-appointed mentor Sinestro, a Green Lantern who is ruthless in his persecution of criminals. The movie starts off on a high, continues it throughout in the middle and then ends off on a high as Hal Jordan and Sinestro clash in an epic battle above the skies of Oa and in space. Different locales, a host of interesting characters and a good plot are all there. Until you see a squirrel use his ring to stop an interstellar spacecraft from crashing you ain’t see nothin’ yet! Or everybody’s favourite, Kilowog. The voice-overs for all the characters were also well-done, in particular Michael Madsen who did Kilowog and Tricia Helfer, who does Boodikka. For the interested, Tricia Helfer also happens to be the voice of Sarah Kerrigan, the Queen of Blades and former Ghost, from Starcraft II. I have had the pleasure of meeting her at Blizzcon 2009 and it was a fun 10 seconds while it lasted. Victor Garber was highly appropriate for the role of Sinestro and he kept the character’s voice quite sinister during the entire film. Christopher Meloni as Hal could use a bit of work however but he was still fun. For fans of Green Lantern in particular and DC Comics in general, I would highly recommend the film. It is definitely the kind of film that both adults and kids can enjoy and I highly recommend watching it with the family. Posted on February 2, 2014, in Movie Reviews, Review Central and tagged Animated Movies, Arisia, Boodikka, DC Comics, DC Entertainment, DCAU, DCAU Spotlight, Film, Green Lantern, Green Lantern Corps, Green Lantern: First Flight, Green Lanterns, Hal Jordan, Kilowogg, Movie, Movie Reviews, Review, Science Fiction, Space Opera, Superheroes, Supervillains, Thaal Sinestro, The Guardians of Oa, WB Pictures. Bookmark the permalink. 3 Comments. Great review. I’ve watched this movie several times with my son’s, and we enjoy it more than the later live action movie with Ryan Reynolds. Where Green Lantern is concerned, the story was totally hopeless. I liked Ryan Reynolds though. And most of his supporting cast.